This week the river has seen a steady amount of fish with Bream, Flathead, Trevally and Mangrove Jack all being caught. Bream and Grunter have been the main catch again this week with lower end of the river around Munna point the best place to catch them. Prawns have been the best bait to catch bream over the last few weeks. Flathead have been on the chew again in the upper parts of the river with anywhere from Goat Island to the start of Lake Cooroibah a chance of getting one. Golden Trevally have been around on the full tides with Woods Bay their favourite spot. And there’s been reports of Mangrove Jack around the banks of Sheep Island. The weather is fine again this week with some cold mornings however so remember to rug up if you’re heading out. During the day however it’s the perfect time to get out and wet a line. This week the river has been firing with plenty of fish on the chew. Bream have been a good catch across the whole river this week with 30-35cm being the average size. It’s been reported that prawns have been the best bait to catch bream on this week. There’s been a few big Flathead caught this week again with the upper part of the river in the dirtier waters around the ski run being their favourite spot with soft plastics and prawns being the most successful bait. There’s also been some nice Golden Trevally caught this week, you can catch them in the Noosa Sound in the cleaner waters near woods bay. We should see more fine conditions over the next week or so, so once again it’s the perfect time for fishing. This week we’ve seen some great fishing conditions with plenty of Bream being caught around the deeper holes and structures such as the Noosa marina and the Sheraton bridge. Prawns and worms have been the most successful bait to target Bream. Whiting have been on the chew this week in and around Goat Island, while some good size Flathead have been caught with reports of some up to 80cm between the marina and the cable ferry. There’s also been reports of some Golden Trevally in the woods bay vicinity with mornings on the high tide being the best time to try your luck. The next week should bring sunny conditions for most of the week so it’s a good time to get out and about and hook a few. Until next week, good luck from the boys at O Boats. There’s been plenty of fish around this week with the school holidays bringing out some awesome fishing conditions. Bream and Flathead have been the main catch this week with Trevally and Tailor also a good catch. Bream have been most common around deeper holes and structures such as the Sofitel and Noosa Sound bridges’ with prawns being the best bait to target them. Flathead have been caught at either end of the river with the mouth and goat island being the best spots on the run out tide. Trevally have been in Noosa Sound once again on the full tide, while there has been a few Tailor around at the river mouth in the early mornings and late afternoons. We should see sunny and clear conditions for the whole week so it’s the perfect weather to get out on the water and have a fish. this week the river has been producing some ripper fish with Bream, Flathead, Trevally and Mangrove Jack all biting. There’s been plenty of Bream and Grunter around once again with them taking nicely to prawns and worms. They’ve been most common around woods bay and the Sofitel Bridge. Flathead have been spotted in and around the banks of Goat Island with them favouring the outgoing tide. There’s been reports of some good sized Trevally out at the river mouth on the high tide, and Mangrove Jack have been making an appearance on the shallow banks of Sheep Island and the Noosa Marina. We should see a few showers today and tomorrow with is hopefully fining up into next week whilst we will have cooler temperatures of around 19 degrees on Sunday so remember to take a jumper if you’re heading out. This week the river has seen a solid amount of fish with Bream, Flathead, Trevally and Moses Perch all being caught. Bream and Grunter have been the main catch again this week, with the Lake Doonella entrance and the surrounding area being the best place to try for them. Prawns have been the best bait to catch bream over the last few weeks. 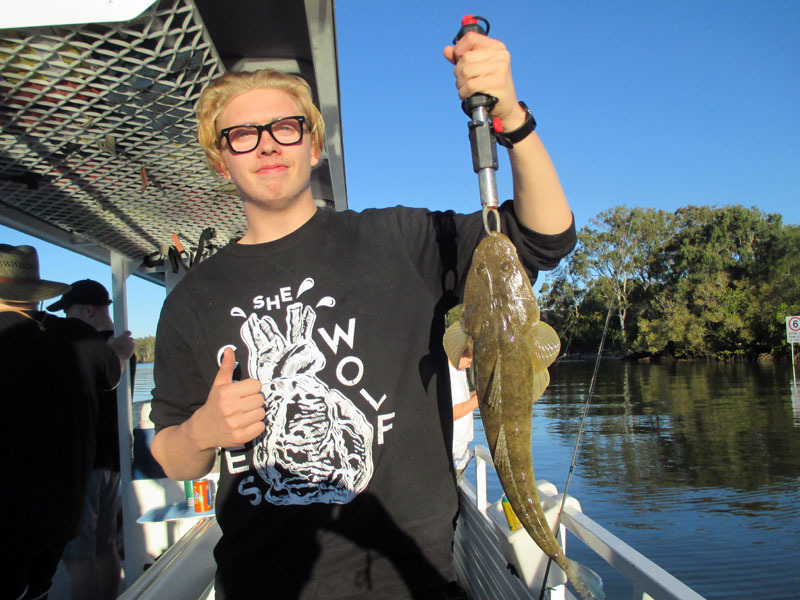 Flathead have been on the chew again in the upper parts of the river with anywhere from Goat Island to the start of Lake Cooroibah a chance of getting one, while there’s also been reports of some good ones caught along the rock wall near the dog beach. Golden Trevally have been around on the full tides with Woods Bay their favourite spot. And there’s been reports of Moses Perch around the banks of Sheep Island. We may see a few showers heading into next week with it hopefully fining up for the weekend. This week there’s been plenty of fish around with Bream, Flathead and Trevally all being caught again. Bream have been most common at the river mouth with the incoming tide a more suitable time to catch them. You can still catch bream in most other spots however with reports of them up as far as the first lake. Some nice Flathead have been on the chew in the upper parts of the river with the shallow parts of Goat and Sheep Island being the best spots on the low tide. Golden and Diamond trevally have also been some good catches this week with the full tide bringing a them out around the Noosa Sound and river mouth areas. We will see beautiful sunny conditions over the weekend however we could see a few showers early next week so remember to take your rain jacket if you’re heading out to try your luck. This week the river has seen a steady amount of fish with Bream, Flathead, Trevally and Mangrove Jack all being caught. Bream and Grunter have been the main catch again this week with lower end of the river around Munna point the best place to catch them. Prawns have been the best bait to catch bream over the last few weeks. Flathead have been on the chew again in the upper parts of the river with between Goat Island and the Ferry crossing your best chance of catching one. Golden Trevally have been around on the full tides again with plenty being hooked in and around Woods Bay. And there’s been reports of Mangrove Jack around the banks of Sheep Island. We should start to see the weather fine up throughout the week so it’s the perfect time to get out and wet a line. 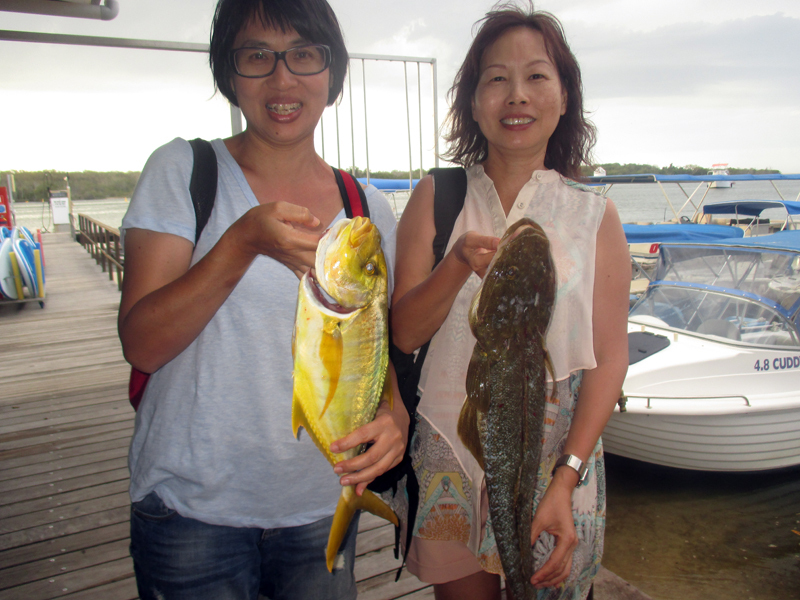 This week the river has seen plenty of nice catches, with Bream, Flathead and Trevally all around. There’s been plenty of Bream and Grunter Bream around again this week and the good news is you can catch them just about anywhere in the river from the mouth to the cable ferry. Prawns and worms have been the best baits to catch them on. There has been some good sized Flathead about on the outgoing tide with Goat Island and the ski run being the best places to find them. While there has also been a lot of Trevally around this week, with nice catches of Golden Trevally being in and around the Noosa Sound areas with the high tide bringing them out. The next week should bring plenty of blue sky with a few showers possible over the weekend.